In the wine category, competition is fierce; in 2014 alone, 4,200 new wines were introduced to market—making it more important than ever for a brand's package design to stand out at shelf and drive consumers to purchase. 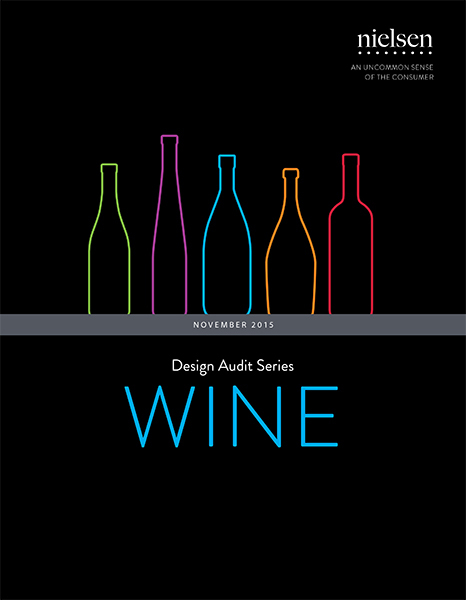 In this Design Audit Series report, Nielsen evaluates the package designs of 34 top-selling and up-and-coming wines amongst 2700 consumers. Findings highlight brands with the most effective designs, and include general best practices for developing wine packaging that wins with consumers at shelf. *Includes data from 2700 U.S. wine buyers, ages 21-64.